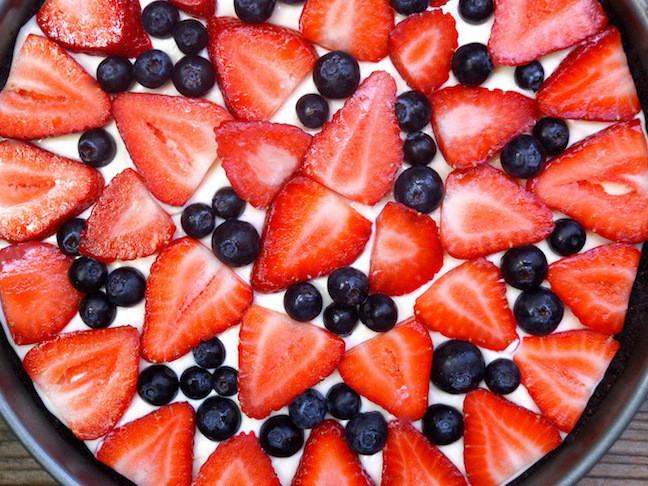 This is the quintessential dessert for a July Fourth celebration. 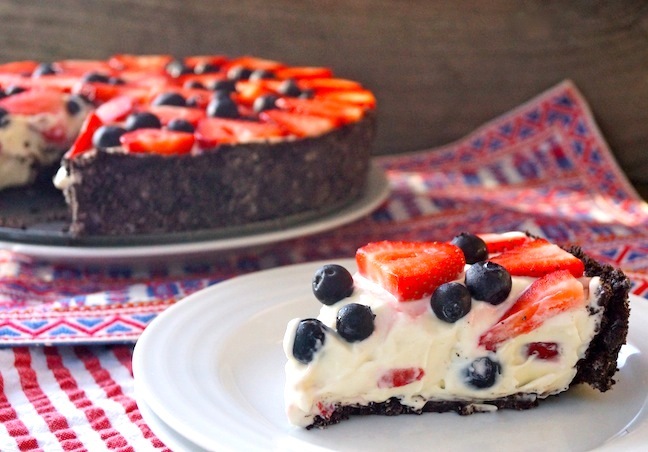 Fresh and beautiful berries, a rich and creamy filling, and an Oreo cookie crust—and you don’t even have to turn on the oven! 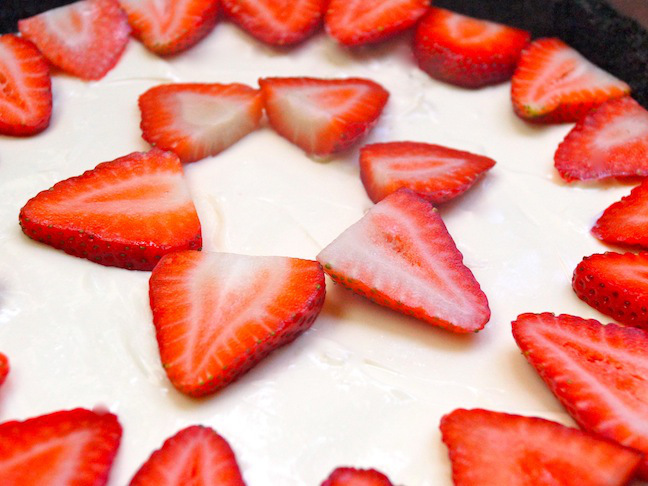 I especially love that this no bake cheesecake is super festive and naturally colorful. No food coloring necessary! The colors make it perfect for the holiday, but the seasonal deliciousness makes it an ideal dessert for any summertime party. 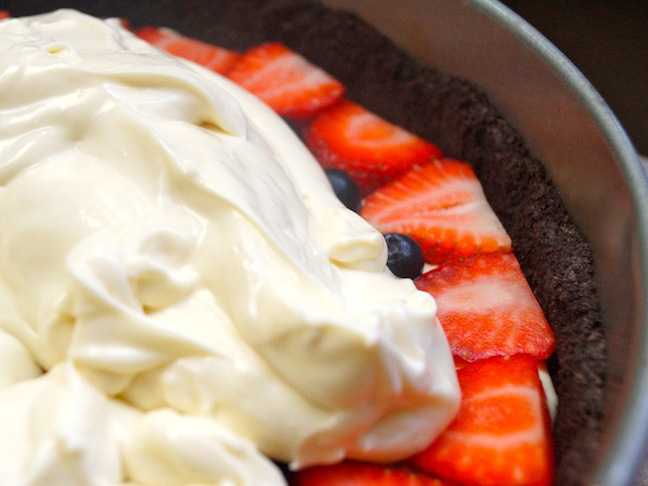 With fresh berries, an Oreo cookie crust, and no baking required, this is the quintessential summer dessert. Step 1: Use a food processor fitted with the blade attachment to finely grind the Oreos. 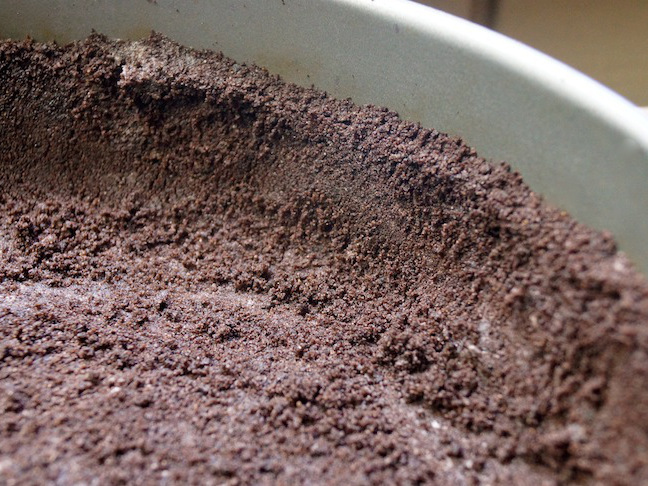 Pour the ground Oreos into a large mixing bowl and fold in the melted butter. Add this to an approximately 10 x 2 inch springform pan. Using your hands, gently press the mixture to evenly coat the inside (bottom and almost all the way up the sides) to form the crust. Step 2: Add the cream cheese to a large bowl or a food processor fitted with the blade attachment. If you're using the bowl, use an electric mixer. Blend until smooth. Then add the sweetened condensed milk, lemon juice, and vanilla, and blend again until it's super smooth. Step 3: Add half of the cream cheese mixture to the crust and smooth it out evenly. 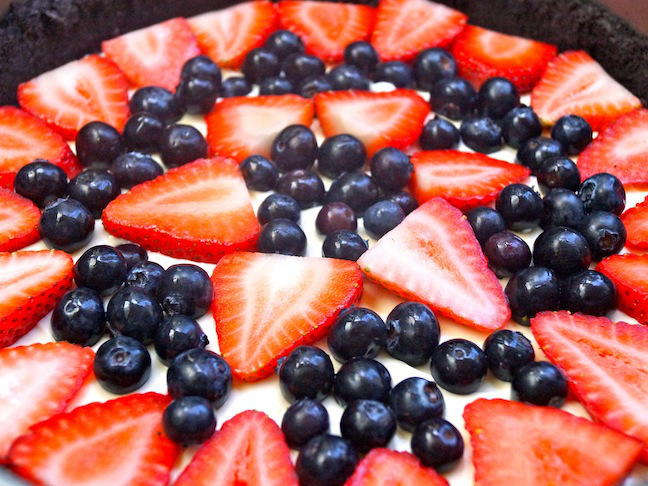 Step 4: Very gently arrange a layer or strawberries, leaving room to add blueberries. Step 5: Fill in the blank areas with blueberries. Step 6: Add the remaining cream cheese mixture. Step 7: Once again, smooth it out evenly. It should come to the top of the crust. 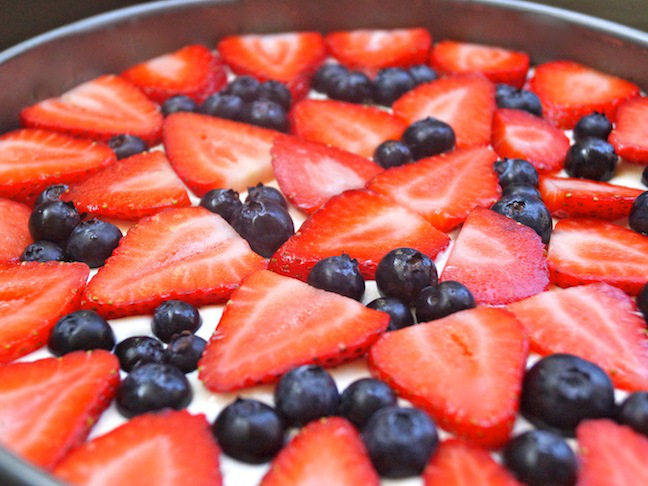 Step 8: Arrange the remaining strawberries and blueberries on top and then refrigerate for at least two hours before serving. Note: Please note that two hours of the prep time is simply refrigeration time.